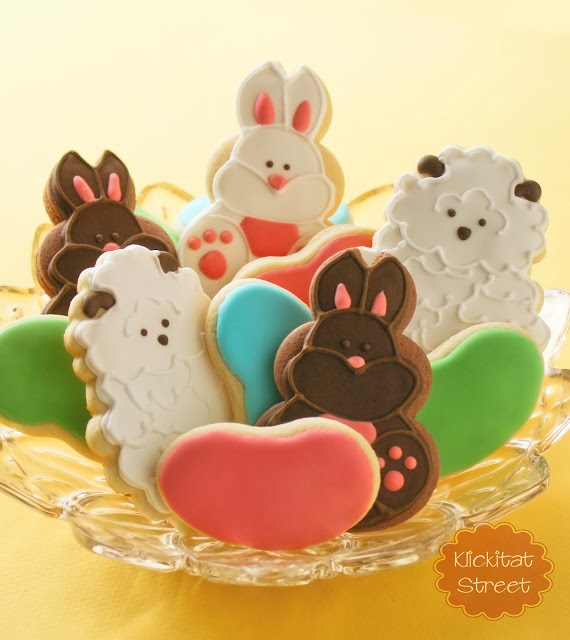 Today I just have a quick post on a fun and simple cookie project that I wanted to try. 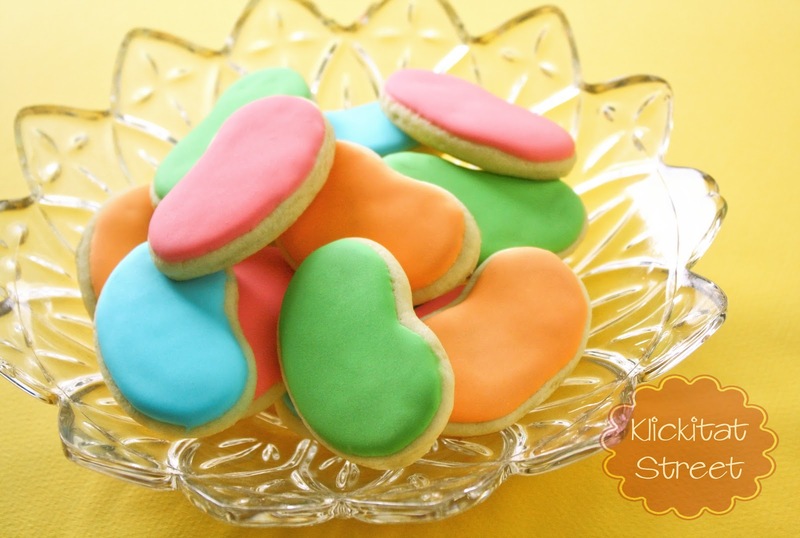 A while ago I was wondering if Kool-Aid could be used to color and flavor icing so I decided to give it a try on some fruity jelly bean cookies. It turns out Kool-Aid works pretty well to color icing even if it doesn't taste much like jelly beans. The taste is more tangy like Nerds candy. You can make the icing taste a bit like Sweet Tarts if you add too much Kool-Aid or Sour Patch Kids if you really add too much Kool-Aid. These are super simple cookies to make. I don't have a jelly bean cookie cutter so I used half a jelly bean plastic egg to cut the cookies and then I didn't even bother with piping bags and just spread the icing with a small spatula. If you want to give this a try sometime be sure to start by adding just a little bit of Kool-Aid to the icing and work your way up to taste. I started with about 1/8 of a tsp or so in about a 1/4 of a cup of icing and went from there. If you want a more vibrant color you can always add more food coloring to the mix. I hope you're enjoying your Easter preparations! Seriously ... that is super cool! Thanks for the tip!!! What a wonderful idea! And so cute too! My husband and I were just talking about flavored cookies....cherry cookies that tasted like cherry and so on. I might have to try this. My friend Lisa swears by this tip, but I have yet to try it! I REALLY need to get on the ball! I have done this and it works really well. I was making lots of cookies for the school and I had to ensure they were "Nut Free" and I love almond extract but knew I couldn't use it for the school so I tried the Cherry Kool-Aid for some valentine heart cookies that were chocolate sugar cookies with cherry flavoured pink icing. They worked great and tasted great too! I've only used the cherry so far but I have several other flavours I'm going to try soon. Thanks for your tips! They are great and appreciated.